Posted by janina on May 15, 2010 at 12:07 am. Rhubarb is a delicious and very misunderstood plant. 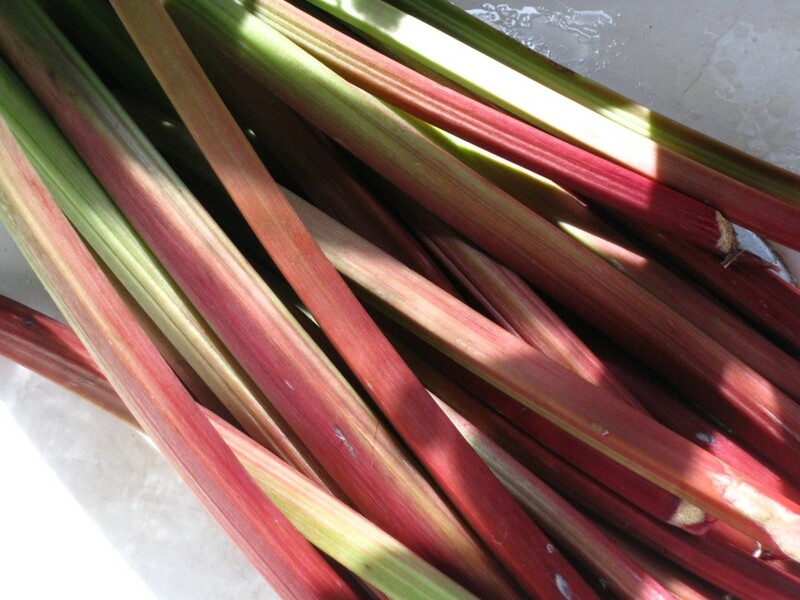 While many people are familiar with Strawberry-Rhubarb, it’s rare to find someone who can appreciate it solo. 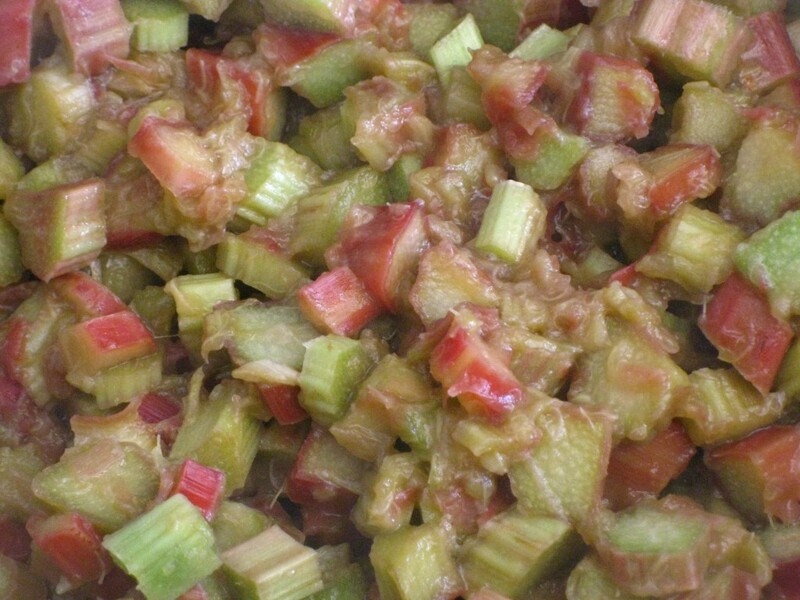 Alone, rhubarb is extremely sour and refreshing, not that dissimilar to sour-grass, or even sorrel. 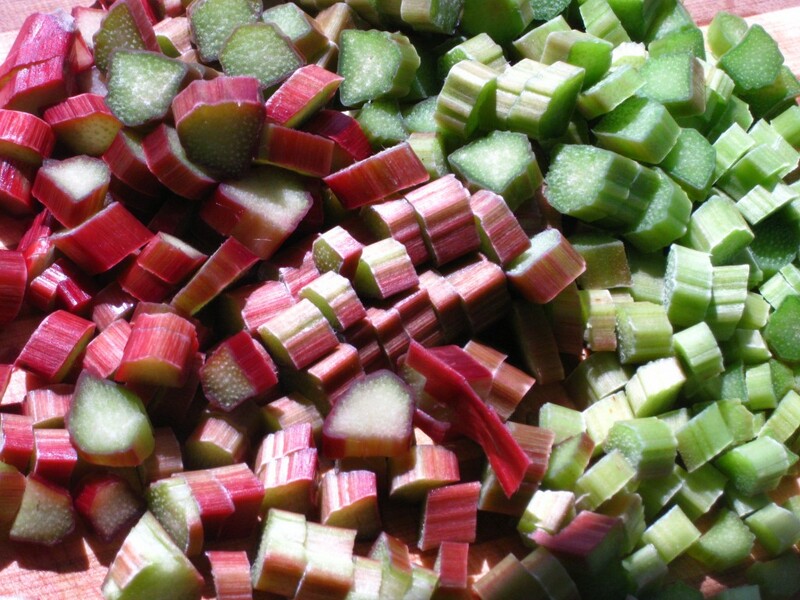 Contrary to popular belief, raw rhubarb is not toxic. The sour in rhubarb comes from oxalic acid which is found in many vegetables (it’s that thing that makes your teeth feel rough when you eat spinach or chard). The leaves of rhubarb contain the most oxalic acid, but in order to get a LD50 (Lethal Dose) you would need to eat 11lbs of them. 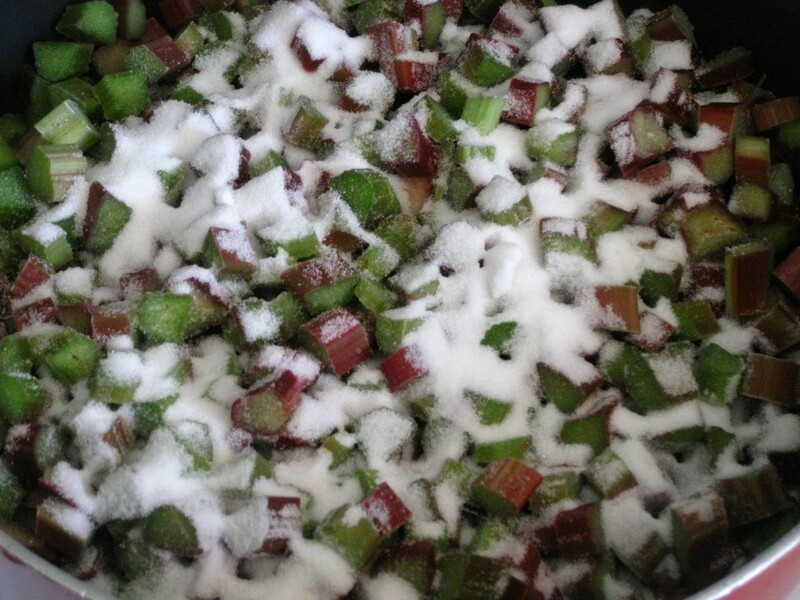 In fact, one of my favorite pieces of rhubarb knowledge is that dipping the raw stalks in sugar used to be a favorite child’s treat in England. The first dip-sticks! It is even delicious raw in fruit salads. Rhubarb tends to be the first fresh fruit in any North American spring, ready a little bit before strawberries, but right on time to match up with the first lavender blossoms. 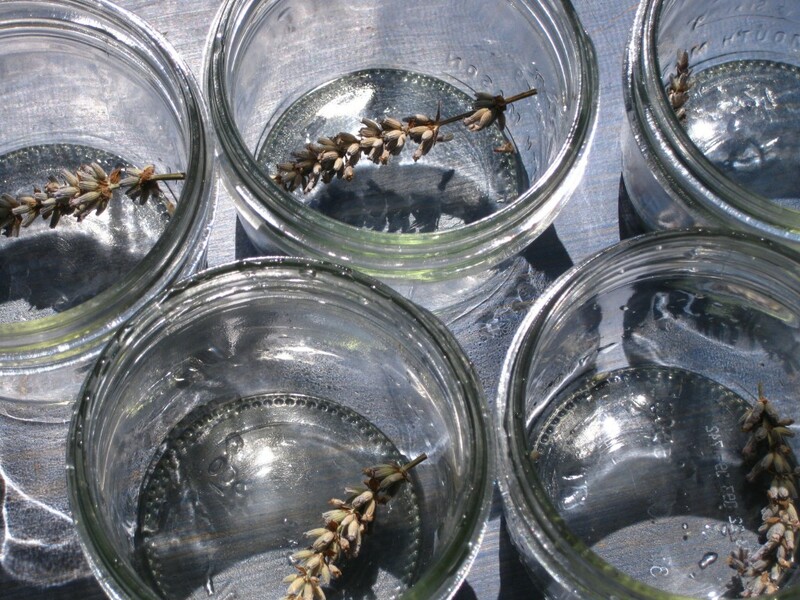 You can make a delicious rhubarb lavender jam with little more than rhubarb, water, sugar, and lavender. The simplicity and ease of this recipe is excellent, especially since by this point in the season I’ve run through my reserves and am dying for anything new. NOTA BENE! I don’t usually process this jam, since it doesn’t keep long after opening. In order to make jam keep after opening you need to cook the majority of the water out, or seal it in with a ton of sugar or pectin. 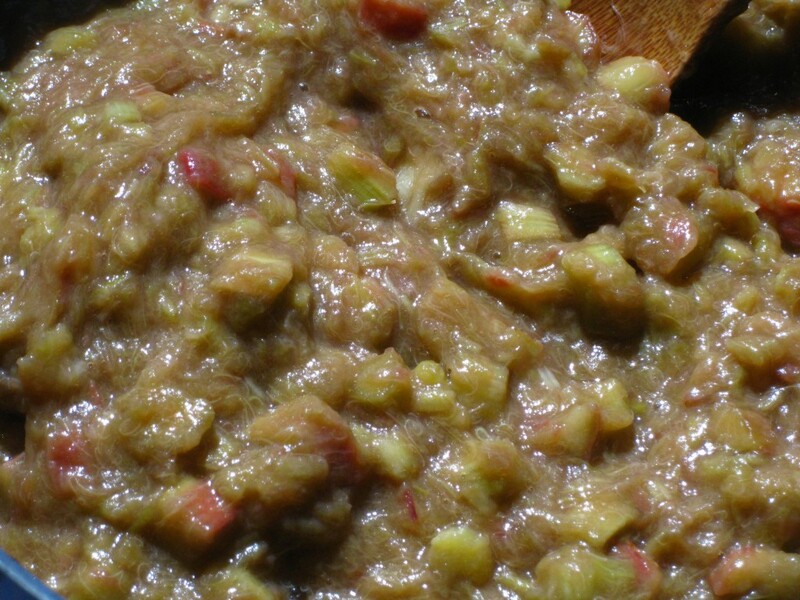 I found it keeps well in the refrigerator, and usually make only small batches. Feel free to process it, but remember to use it quickly after opening, ideally within two weeks.